Acinetobacter baumannii is a pathogen of increasing concern, commonly causing outbreaks in the hospital environment. Of particular concern, A. baumannii strains exhibiting resistance to carbapenems, which were previously considered the treatment of choice for infected patients, have dramatically increased worldwide, leaving a few antibacterial choices. Tigecycline, a broad-spectrum modified minocycline derivative, isconsidered as a last resort drug against multidrug-resistant A. baumannii. Though, resistance to tigecycline has emerged and is growing notably following increasing tigecycline usage. 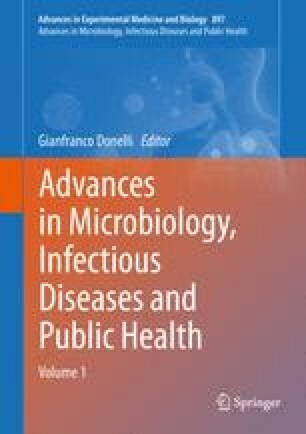 Comparative evaluation of the tigecycline resistance rates reported worldwide is challenging due to the absence of official interpretative criteria for in vitro susceptibility testing and the discrepancies among the different susceptibility methodologies used, with broth microdilution being considered the reference method. Tigecycline resistance is mainly associated with resistance-nodulation-cell division (RND)-type transporters, mainly the AdeABC, AdeFGH and AdeIJK efflux pumps, but other resistance mechanisms have also been implicated. Tigecycline is still an attractive choice for A. baumannii, but further investigations are warranted so that treatment of MDR Α. baumannii could be guided by validated in vitro data. No institutional and/or corporate funds have been received by authors for the achievement of the results reported in the manuscript. Cattoir V, Dowzicky MJ (2014) A longitudinal assessment of antimicrobial susceptibility among important pathogens collected as part of the Tigecycline Evaluation and Surveillance Trial (T.E.S.T.) in France between 2004 and 2012. Antimicrob Resist Infect Control 3(1):36. doi: 10.1186/2047-2994-3-36. eCollection 2014.